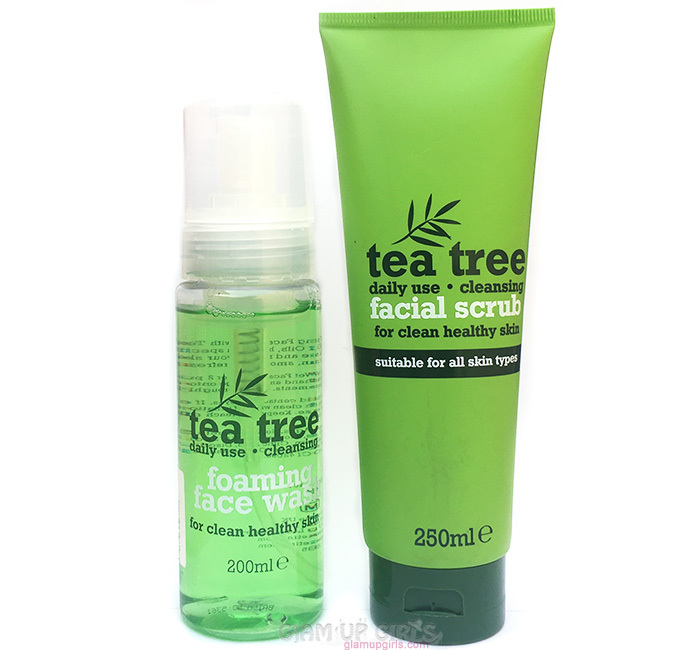 Today i am going to share Tea Tree Cleansing Foaming Face Wash and Facial Scrub by Xpel Marketing who are UK based and produces range of different products like for hair, skin and nails with different ingredients. I have not seen many reviews about this brand and it is mostly available on Amazon. I spotted their Tea tree range a store and wanted to try them for my oily skin. Lets see if they are worth trying or not. Foaming Face Wash with Tea Tree and Peppermint Oils, has been specially formulated to help cleanse and refresh your skin leaving it feeling clean, smooth and refreshed. 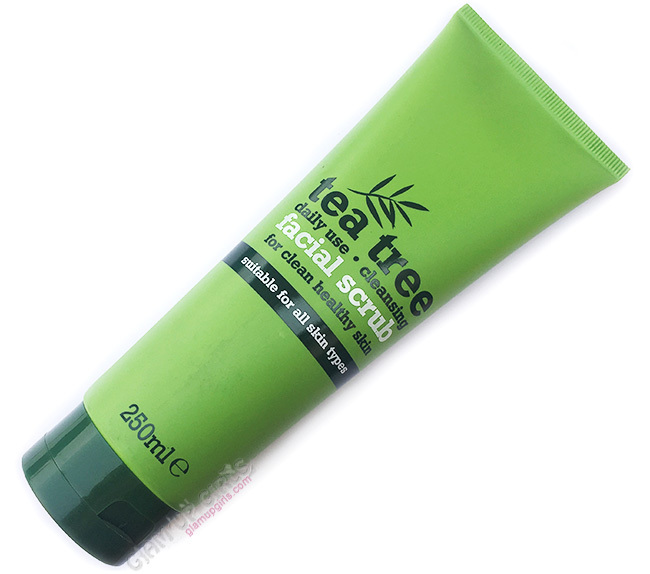 This Tea Tree Facial Scrub has been specially formulated to gently cleanse and stimulate your skin by helping to remove excess oil and dead skin cells to reveal a healthier, fresher looking complexion. These products come in leaf green packaging. The face wash comes in transparent plastic bottle with pump dispenser. 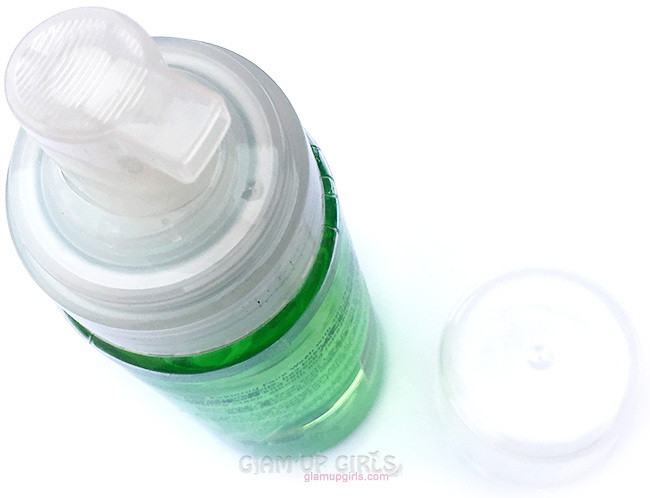 It contains green liquid face wash which dispensed out as foam. I have seen these type of face wash only in high end or Korean brands and it is quite interesting to use. 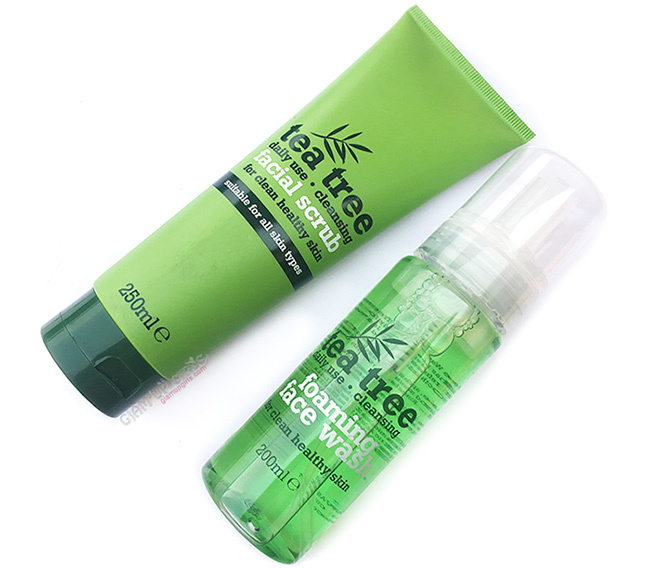 The face wash have light tea tree smell with hint of peppermint which feels cool and refreshing. The smell is not very strong or bothering and if you like essential oil smell, you will love it. The packaging of scrub is squeezable tube with flip cap. The scrub have white color creamy texture with small round beads for exfoliation. This scrub has very strong herbal smell which is mixture of rosemary essential oil and tea tree oil. It can be bothering for some and if you have sensitive nose, you might not like it. It contains walnut exfoliation beads which are large but are very few. It is not like St.Ives Apricot and Mandarin scrub which have dense quantity of exfoliation beads. For the same reason, this scrub is not harsh and nor very exfoliating. The good think is it is also not like Freeman Apricot creamy scrub which leaves the greasy feel behind. In fact it is more like mild cleanser which leaves skin clean and refreshing. The face wash is quite good comparing to scrub and it leaves the skin clean, soft and refreshing. I have experienced that most Tea tree cleansing products leaves skin dry but this is perfect for all skin and doesn't make skin any dry comparing to any other face wash. The foaming texture works really good and even it is not very leathery, it is not sticky or watery as well. To dispense better foam from bottle, it is better to shake bottle before pressing the pump because some times it can dispense out only liquid if not shaken well. Overall i really like the foaming face wash, it cleanses well have cooling and refreshing feel and doesn't make any skin dry. The scrub however is not upto mark, it doesn't exfoliate much but have cleansing effect and doesn't leave any sticky or greasy feeling behind. It can be a good for sensitive skin.